Spyro’s rumored remaster trilogy has been leaked. The original three games will be coming to PS4 and Xbox One on September 21, 2018, according to an Amazon listing. 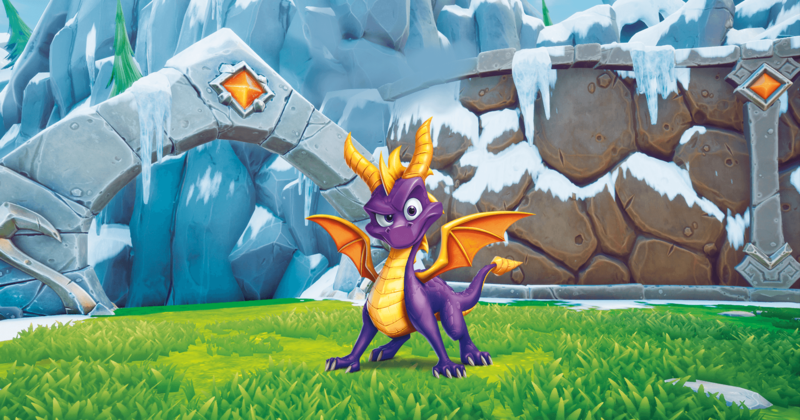 Amazon India states the remaster–officially titled Spyro: Reignited Trilogy–will contain “all three original Spyro games fully remastered in HD.” That means you’ll get the first Spyro the Dragon, as well as Spyro 2: Ripto’s Rage (known as Spyro 2: Gateway to Glimmer in Europe and Australia), and Spyro: Year of the Dragon. In total, the bundle includes “100+ levels, remastered with breathtaking graphical updates and improved gameplay controls,” according to the listing, which also displays what looks to be final box art and a bunch of screenshots, which you can see below. Amazon Mexico has a similar entry for Spyro: Reignited Trilogy, while a screenshot that looks very similar to the above box art has been spotted on the official Spyro website. The trilogy has been rumored in the past, and these latest leaks make the possibility of a Spyro remaster seem more plausible. However, that report stated the bundle would be a timed exclusive to PS4–similar to last year’s Crash Bandicoot N. Sane Trilogy–and that it would be developed by Vicarious Visions; the new box art appears to cite Skylanders developer Toys for Bob as the studio behind the Reignited Trilogy. This September marks the 20th anniversary of Spyro the Dragon’s original release on PS1. That game, as well as the subsequent two that will be included in this remaster, were developed by Insomniac Games, the studio that would go on to create Ratchet & Clank, Resistance, and Sunset Overdrive. Later entries in the series were handled by other studios, with the biggest recent success being the spin-off Skylanders series.